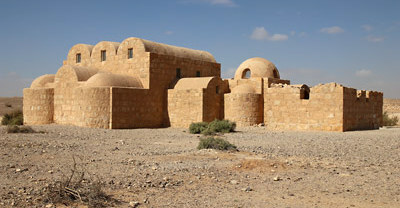 This imposing and well preserved Umayyad building in the vastness of the Jordanian desert can be dated before 710 AD, due to an Arabic inscription above one of the doors of a room. The only entrance gate is centrally located on the southern façade framed by two quarter-round buttresses. Each corner of the 35 m square structure has a three-quarter-round fortification, while semicircular buttresses support the remaining facades at their center. Narrow openings appear to be arrow slits, but they are too high and actually serve to provide light and ventilation. 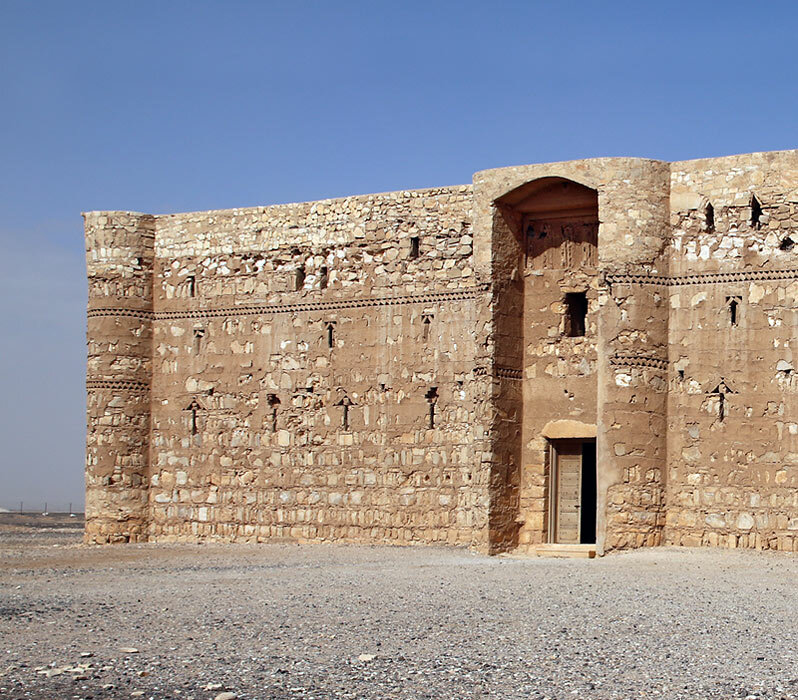 This proves that al-Kharana wasn't a military "castle". First assumptions typified it as a caravanserai, but it was not on any major trade routes and lacked of large water sources. It most probably served as a representative place for political meetings between local tribal communities and Umayyad rulers. The entrance passage is flanked by two vaulted chambers that functioned as stables and storage areas. 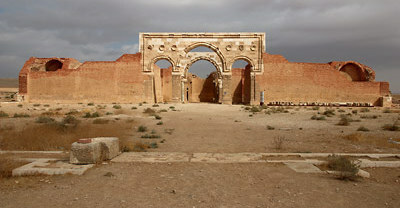 The open central courtyard is surrounded by groups of barrel vaulted rooms forming separate units around a central hall (arrangement known as a "bayt" in Umayyad architecture). The courtyard had a basin for collecting rain water at its center. Two stone staircases lead to the upper floor where the rooms still display decorative details such as stucco moldings, sculpted plaster columns, and arcades.